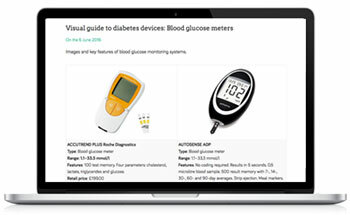 Images and key features of diabetes and respiratory devices. Diabetes devices include lancets and finger prickers, blood glucose test strips and meters, prefilled insulin pens, and other insulin delivery devices. 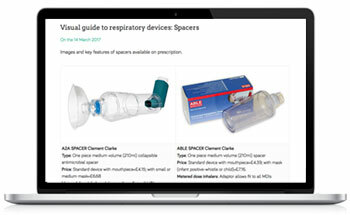 Classified by type of active ingredient (reliever or preventer), generic ingredient and type of device (breath actuated inhaler or metered dose inhaler).